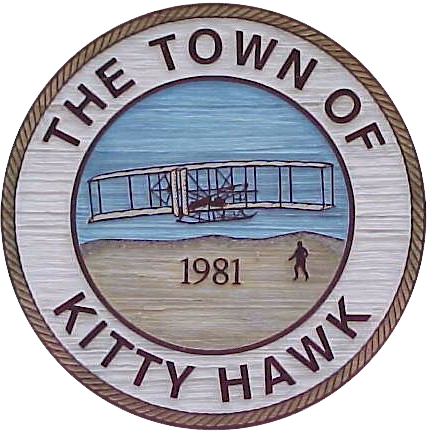 The Town of Kitty Hawk offers year-round residents and visitors alike a unique and relaxing environment. The Town consists of a thriving village that has been around for generations, a newer beach community of residential cottages, and a maritime forest called Kitty Hawk Woods, featuring a wide variety of plant and animal life. The Town of Kitty Hawk also prides itself on providing a public beach for the enjoyment of full time residents as well as seasonal visitors. There are many public beach accesses with parking available. There are a variety of Recreational Opportunities within the Town limits. Here are some of the highlights. Sandy Run Park is located at 4343 The Woods Rd. The park offers public access to the Kitty Hawk Woods Maritime Forest. Recreational areas include a half basketball court. Picnic areas with grills are also available in the front of the park. A bridge connects to a half-mile nature walk loop over Sandy Run. The nature walk features two gazebos with pedestrian and canoe/kayak access, a nature observation tower, a fishing pier (catch and release please!) picnic tables, benches and interpretive signage. A small children’s play area and two fitness stations will be added by 2019. Sandy Run Park is home to a bale of friendly turtles that are fun to watch. Please do not feed. The fenced in area just off The Woods Rd. (5160 The Woods Road, next to Dominion Power) has swing sets and a play area designed for younger children. Dogs are not allowed in the fenced in area. The Paul Pruitt park adjoins the Paul Pruitt Multi-Use Path, which stretches the length of The Woods Road. This is a multi-use path, and it is open to all forms of non-motorized pedestrian traffic. Along with this multi-use path are many bike lanes on the sides of roads. The 2 mile David Paul Pruitt Multi-Use Path runs from the intersection of W. Kitty Hawk Rd. and The Woods Rd. north along The Woods Rd., to the intersection of Hwy. 158 E., to the Shoreside (Wal-Mart) Shopping Center, approximately a .5 mile distance. There is also a connection at the Twiford St. intersection running .8 miles westward along Twiford St. through Kitty Hawk Village. Horses may be ridden west of US 158 and on the beach with the conditions listed below. Set against the open sky of Kitty Hawk on the Outer Banks of North Carolina, where flight began, the Monument to a Century of Flight provides a reflective and contemplative environment. It is surrounded by the simple beauty of the barrier island’s natural vegetation and looks out toward the waters of the Atlantic. The monument is located at 5230 N. Croatan Highway behind the Aycock Brown Welcome Center.